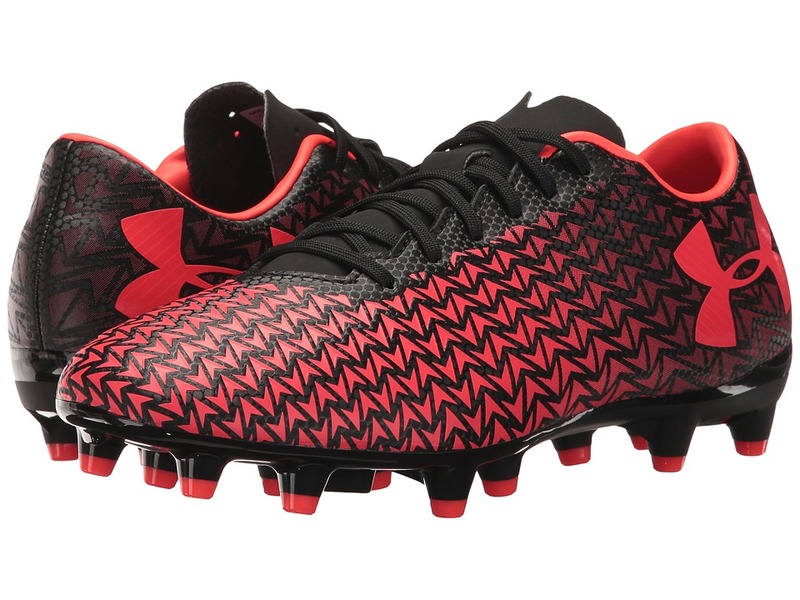 The Under Armour UA CF Force 3.0 FG is a club level soccer cleat designed for quick cuts and speed on the field! Synthetic upper with printed design delivers great ball-handling. Centralized lace-up closure for a secure, adjustable fit. No-nonsense tongue. Synthetic lining inside shoe. Die-cut Ortholite sockliner offers cushioned comfort for all-day play. TPU outsole with conical studs allow for speedy multi-directional acceleration. Imported. Measurements: Weight: 9 oz Product measurements were taken using size 12, width D - Medium. Please note that measurements may vary by size. Weight of footwear is based on a single item, not a pair. 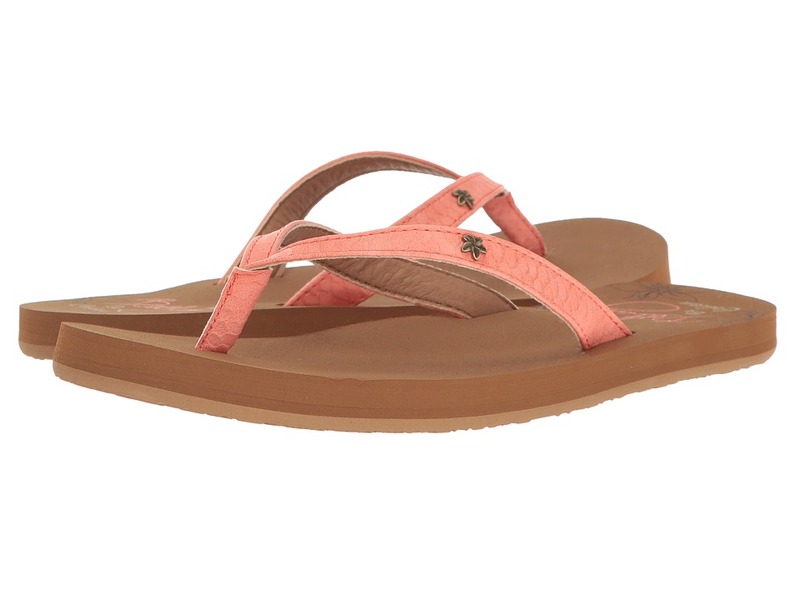 The versatile Cobian Hanalei sandal will be your go-to from beach days to city life! Uppers of durable faux leather. Metal logo badge adorns upper. Padded footbed for added comfort. Rubber outsole for long-lasting upper. Imported. Measurements: Weight: 4 oz Product measurements were taken using size 9, width B - Medium. Please note that measurements may vary by size. Weight of footwear is based on a single item, not a pair. Bring some added performance to the greens with the adidas Golf Climacool Knit. 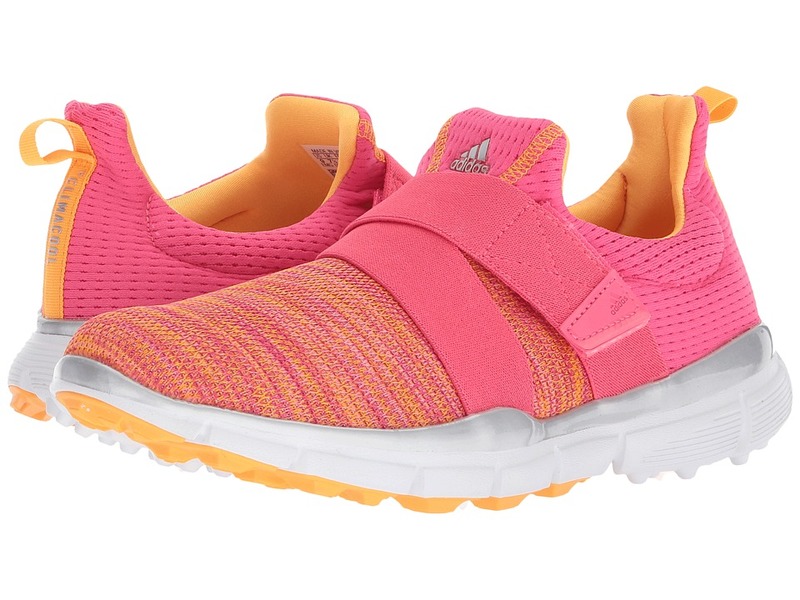 CircleKnit upper is specially designed to provide added breathability and comfort. Slip-on design with adjustable hook-and-loop closure. Padded collar. Pull-tab at rear. Lightweight mesh lining. Cloudfoam insole provides long-lasting cushioning. Adiwear Traction rubber outsole Imported. Measurements: Weight: 7 oz Product measurements were taken using size 8, width B - Medium. Please note that measurements may vary by size. Weight of footwear is based on a single item, not a pair. 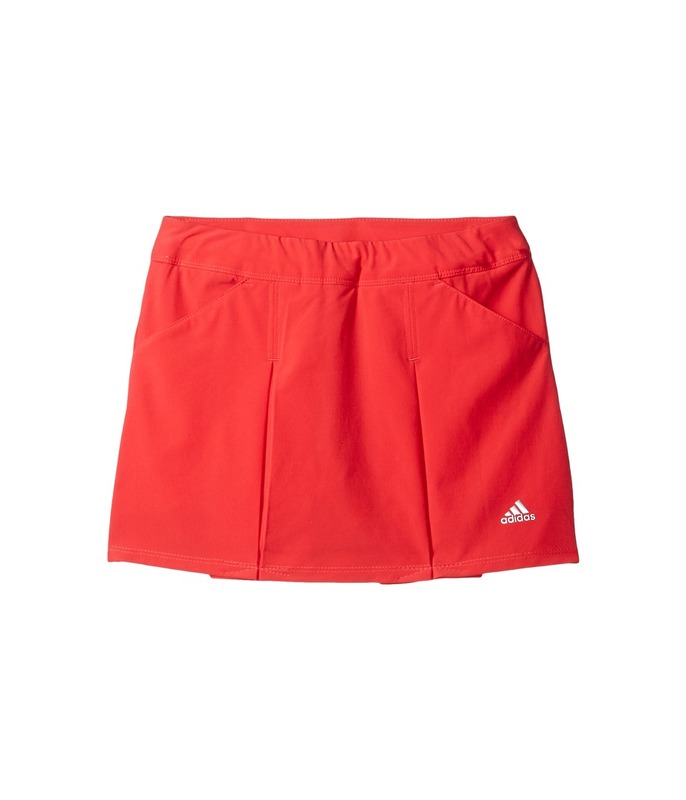 Don~t settle for basic when you could flaunt ultimate style and confidence in this adidas Golf skort. adidas Golf delivers products that help players of all skill levels reach their potential. Flattering pull-on skort crafted from a poly-stretch blend for enhanced mobility. climachill technology combines: &amp#8226 Unbeatable air flow. &amp#8226 Moisture management with the comfort of a closed fabric. &amp#8226 3D metallic cool zones at nape provide amazing cooling performance and drying time. Removable compression-brief liner for added coverage and support. Fitted waistband. Versatile five-pocket design. Straight hemline with split sides. 90 percent polyester, 10 percent spandex. Machine wash, tumble dry. Imported. Measurements: Skirt Length: 17 in Inseam: 4 in Waist Measurement: 30 in Product measurements were taken using size SM, inseam 4. Please note that measurements may vary by size. Hit the green with the lightweight performance of the adidas Golf Adipure Sport. Textile and synthetic upper with PU coating for added durability. Lace-up closure for a custom fit. Padded tongue and collar. fitfoam pillow sockliner provides extra cushioning. New highly flexible adiwear spikeless outsole with puremotion lugs for greater traction and durability. 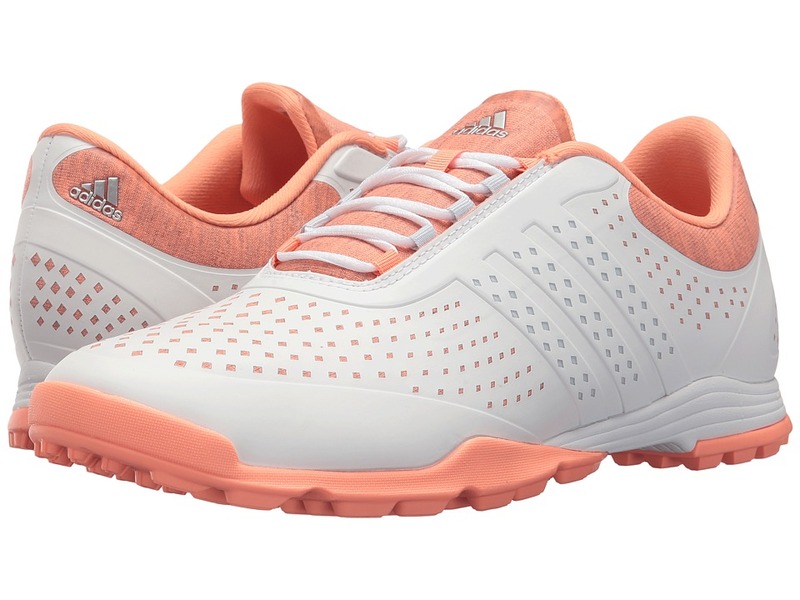 Built on a new adipure women~s last that features a rounded toe, wider forefoot, and lower ceiling height. Imported. Measurements: Weight: 9 oz Product measurements were taken using size 10, width B - Medium. Please note that measurements may vary by size. Weight of footwear is based on a single item, not a pair. Ride the wave with the Pistil So Cal. Classic trucker hat with high-crown construction. Front panel with screen printed design. Breathable mesh panels at rear. Adjustable snapback closure. Curved brim. Polyester, cotton. Hand wash, dry flat. Imported. 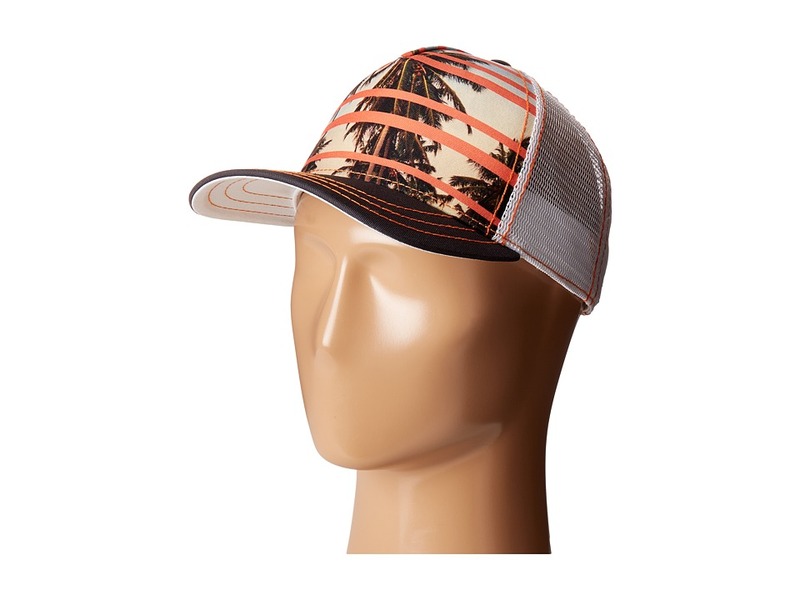 Measurements: Circumference: 23 in Brim: 2 3 4 in Product measurements were taken using size One Size (22-23.6). Please note that measurements may vary by size. Spenco Total Support&amp#174 footbed helps to prevent and reduce the pain of plantar fasciitis. 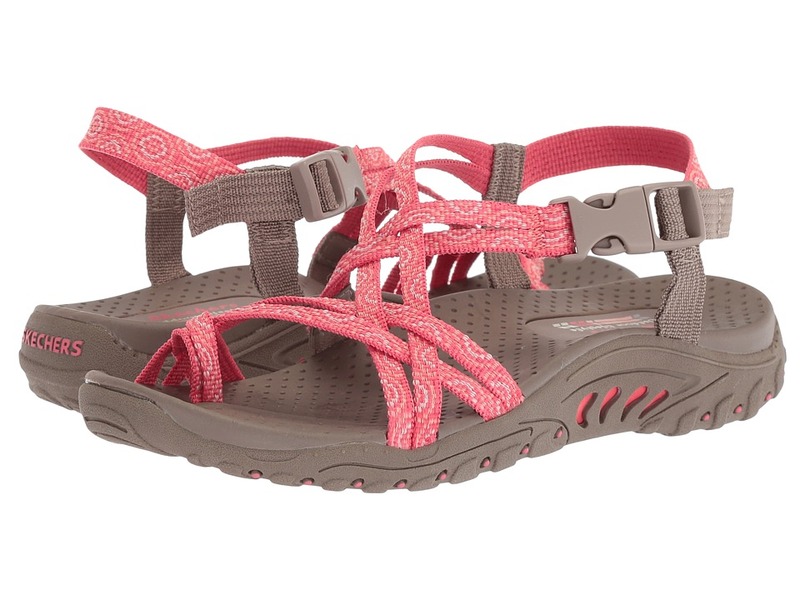 Your feet will feel so natural in the Spenco Fusion II that it will fuse right into these comfortable sandals! Exceptionally soft toe post does not chafe nor irritate for a natural-foot wear. FOREFOOT CRASH PAD cushions strike impact and reduces pressure at forefoot. Ultra-Fresh antimicrobial helps control odor for a healthy foot environment. The Shape That Feels Great Technology and lightweight Spenco Airgrid EVA foam offers great cushioning for a comfortable all-day wear. METATARSAL DOME relieves pressure from the metatarsal heads to maximize foot function, and provide increased comfort beneath the ball of the foot. +5 HEEL LIFT proven geometry ratio has best alignment. Anatomically designed heel dome. DEEP HEEL CUP offers stability while helping prevent overpronation. Imported. Measurements: Weight: 5 oz Product measurements were taken using size 11, width B. Please note that measurements may vary by size. Weight of footwear is based on a single item, not a pair. 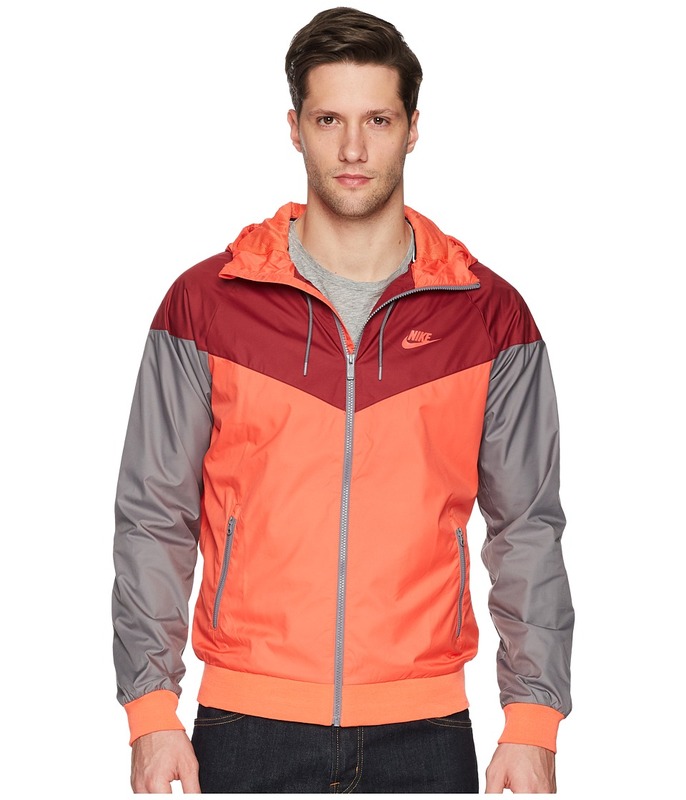 Breeze on through looking sporty and fresh in the iconic Sportwear Windrunner Jacket. Running-inspired jacket in a lightweight ripstop fabric. Regular fit is eased, but not sloppy, and perfect for any activity. Attached drawcord hood with bill. Full-zip front closure with chin-saving zipper garage. Long-sleeve coverage. Vented back yoke increases breathability. Secure zip hand pockets. Knit cuffs and straight hem. Body Lining: 100 percent polyester. Machine wash, tumble dry. Imported. Measurements: Length: 27 in Product measurements were taken using size MD. Please note that measurements may vary by size. 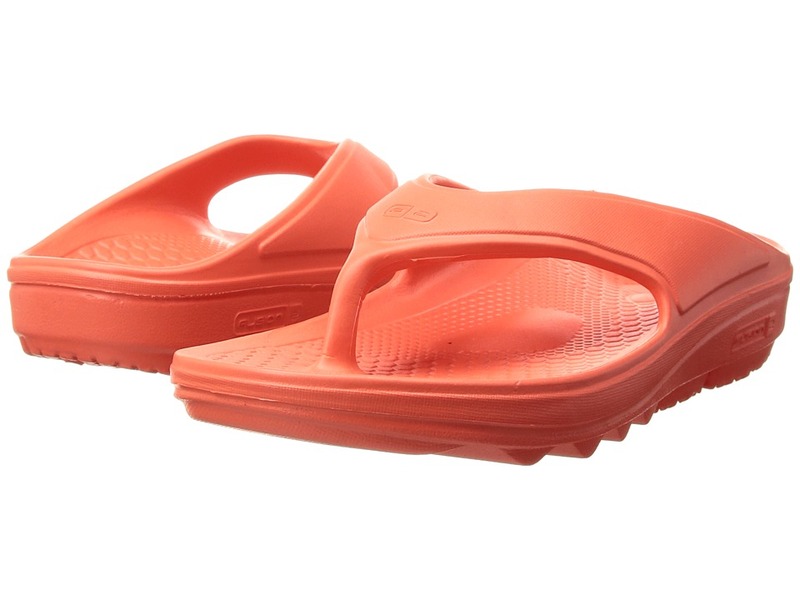 Let everyday be sunshine and rainbows in the Reggae - Happy Rainbow sandal by SKECHERS. Web fabric upper. Thong construction with toe post. Strappy detailing. Soft fabric lining. Cushioned footbed. Sculpted toe ridge for added comfort. Textured rubber sole. Imported. Measurements: Weight: 6.6 oz Product measurements were taken using size 5.5, width B - Medium. Please note that measurements may vary by size. Weight of footwear is based on a single item, not a pair. Walk the fairway like it~s your own, personal runway. adidas Golf delivers products that help players of all skill levels reach their potential. Lightweight poly-stretch blend offers all-day comfort and increased mobility. Pleated detail featured throughout for unbeatable style. Elastic waistband. Attached-inner shorts offer added coverage and support. Four-pocket design. Straight hemline. 86 percent polyester, 14 percent spandex. Machine wash, tumble dry. Imported. Measurements: Skirt Length: 11 in Inseam: 2 1 2 in Waist Measurement: 22 in Product measurements were taken using size SM (7-8 Big Kids). Please note that measurements may vary by size. You can~t go wrong with a classic! Beautiful basic is ready to mix and match with favorite swim bottoms. Soft stretch microfiber fabric boasts excellent shape and color retention. Deep V-neckline. Removable contour pads provide support and shape. Crisscross shoulder straps tie at middle back. Supportive band under bust. 85 percent polyamide, 15 percent elastane. Hand wash, line dry. Imported. If you~re not fully satisfied with your purchase, you are welcome to return any unworn and unwashed items with tags intact and original packaging included. You can~t go wrong with a classic! Beautiful basic is ready to mix and match with favorite swim tops. Soft stretch microfiber fabric boasts excellent shape and color retention. Low-rise design. Merrow edges reduce chafing and irritation. Shirred center back seam adds extra zing to the backside. Cheeky rear coverage. 85 percent polyamide, 15 percent elastane. Hand wash, line dry. Imported. If you~re not fully satisfied with your purchase, you are welcome to return any unworn and unwashed items with tags intact and original packaging included. You can~t go wrong with a classic! Beautiful basic is ready to mix and match with favorite swim bottoms. Soft stretch microfiber fabric boasts excellent shape and color retention. Scoop neckline. Removable contour pads provide support and shape. Crisscross shoulder straps tie at middle back. Supportive band under bust. 85 percent polyamide, 15 percent elastane. Hand wash, line dry. Imported. If you~re not fully satisfied with your purchase, you are welcome to return any unworn and unwashed items with tags intact and original packaging included. Marino is part of the Earthies Collection. All you~ll be able to say is WOW when you put these sandals on your feet. Leather or suede strappy uppers. Bold metallic buckles and side zipper for an adjustable fit. Lined in leather. Leather-covered contoured footbed. Wrapped heel. Flexible rubber outsole. Imported. Measurements: Heel Height: 2 1 2 in Weight: 12 oz Product measurements were taken using size 9, width B - Medium. Please note that measurements may vary by size. Weight of footwear is based on a single item, not a pair. Make your warm-weather debut a sweet one with the adorable Zoe by Eric Michael. Smooth leather upper. Adjustable buckle closure. Leather lining. Cushioned insole. Jute-wrapped wedge. Rubber outsole. Made in Spain. Measurements: Heel Height: 1 1 4 in Weight: 6 oz Product measurements were taken using size 38 (US Women~s 7.5-8), width M (B). Please note that measurements may vary by size. Weight of footwear is based on a single item, not a pair. Poolside or on the sandy shores of an island paradise, this stylish gem is sure to make a splash! Solid bikini top is ready to mix and match with favorite swim bottoms. Durable stretch microfiber fabric retains its shape and resists fading for extended wear. UPF 50+ fabrication protects skin during outdoor activity by blocking harmful Ultraviolet A B rays (UVA/UVB). Sweetheart neckline with shirred cups. Molded underwire cups provide support and lift for a flattering fit. Adjustable neck and back ties. 80 percent nylon, 20 percent Lycra spandex. Hand wash, line dry. Imported. If you~re not fully satisfied with your purchase, you are welcome to return any unworn and unwashed items with tags intact and original packaging included. 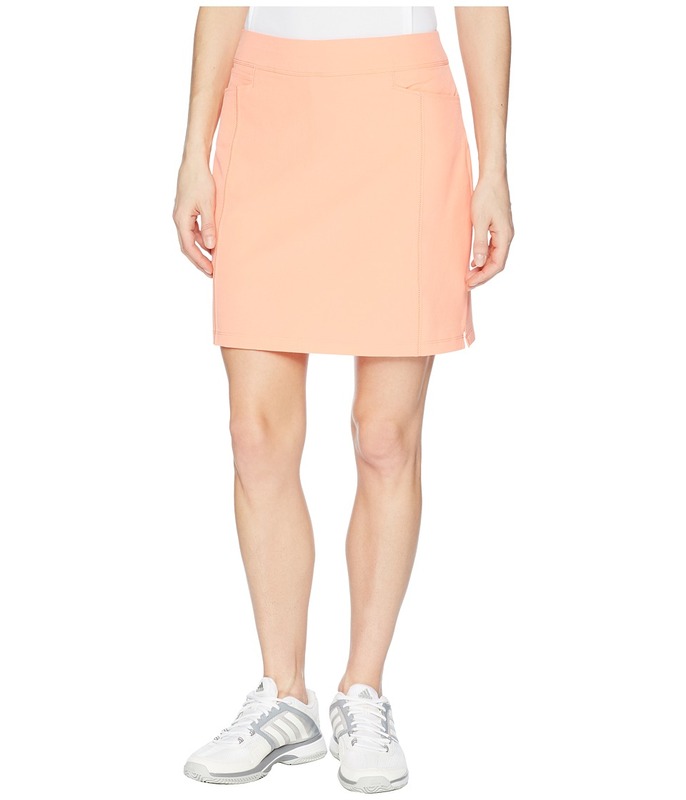 Don~t get stuck in your old ways, include a sporty twist with this stretchy Sonora Dress. Regular fit skims the body and offers a personalized appeal with adjustable self-tie. Light-and-airy design blocks harmful UV rays with UPF 30+ sun protection. Two-way stretch displays soft textured fabrication keeps you dry with Quick Moisture Control technology. Spread collar. Full button-through placket. Sleeveless design. Princess seams with tailored darts. Fixed belt loop waist with integrated belt. Patch pocket at right hip with zip closure. Straight hem hits above knee. 100 percent polyester. Machine wash, tumble dry. Imported. Measurements: Length: 38 in Product measurements were taken using size XS. Please note that measurements may vary by size. Colorful, easy-to-wear clothing that fits your life. 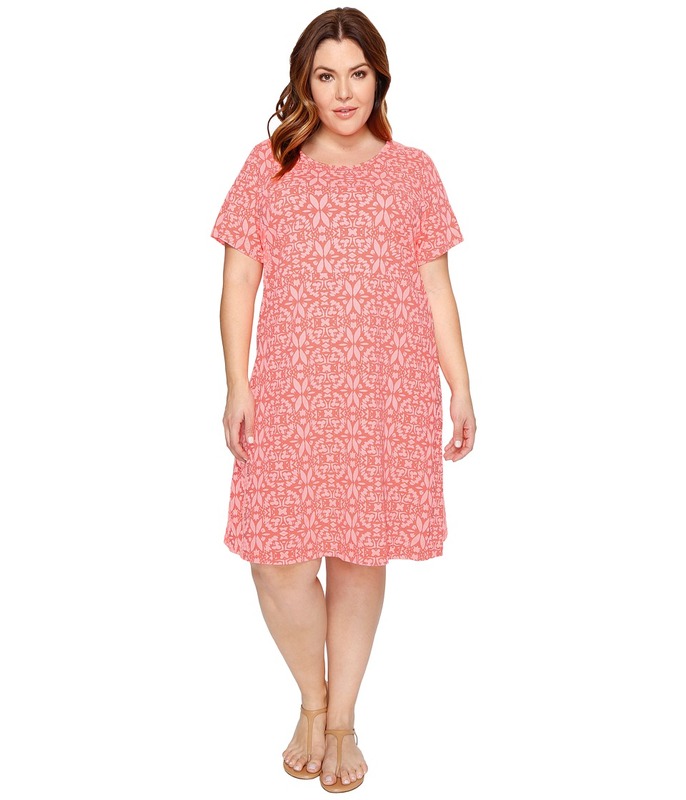 Short-sleeve dress in a cotton jersey knit. Two-tone batik print. Garment-dyed cotton fabric is pre-shrunk and feels soft on the skin. The garment-dye process imparts a beachy, sunwashed look and causes no two pieces to appear exactly alike. Semi-fitted bodice and A-line skirt. Scoop neckline. Dropped empire waist seam hits just above the natural waist. Slip-on. Unlined. 100 percent cotton. Machine wash cold, tumble dry low. Made in the U.S.A. and Imported. Measurements: Length: 37 1 2 in Product measurements were taken using size 1X. Please note that measurements may vary by size.